When people are having problems with their kidneys, they face a very dangerous situation. One of the ways that they deal with this problem is by going through regular dialysis treatments, which are basically treatments that flush out patients’ systems much like working kidneys would. 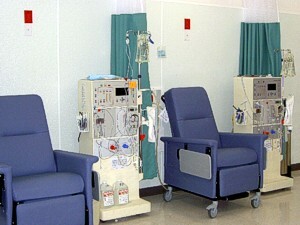 There are several components that are used for dialysis treatment, and one of them is a line of fluids that is used to effectuate this flushing of the system. Unfortunately for many unsuspecting people, some of these fluids have been found to be dangerous in recent years and people have suffered enormous harm and even been killed as a result of trusting them. Below you will find a brief overview of one of the products that has drawn scrutiny in recent years, which is known as NaturaLyte. This is a product that has not only drawn scrutiny, but it has also been extremely prevalent and therefore exposed many different people to potential harm. Anyone who has used this product and suffered medically as a result needs to obtain the help of experienced NaturaLyte attorneys as soon as possible. NaturaLyte is a product that is manufactured by a company known as Fresenius Medical Care (FMC), and it is a hemodialysis product used at treatment centers throughout the United States. When people need help with the functioning of their kidneys, NaturaLyte is one of the products that is used by dialysis patients to make sure that toxins that their kidneys would otherwise remove are taken out of that patient’s system anyway. Over the years, NaturaLyte became one of the most popular hemodialysis products in the United States, but eventually people discovered serious problems with it use. Basically, there were problems discovered with the warnings and directions released by FMC, and as a result of these warnings the bicarbonate levels of patients become extremely elevated. When this occurs, people face immediate risks of heart attacks, strokes and other cardiac-related problems. Early in 2012, the FDA received a memo from an anonymous party that examined the deaths of more than 900 people who had used products that were manufactured by the FDA. All of the people who lost their lives suffered this fate because of heart-related problems. After this situation became public, several warnings were issued by both FMC and the FDA. Eventually, in June of 2012, a Class I recall was announced by the FDA, and this classification of the recall is the most serious available to the agency. It basically means that there is a serious and imminent threat to a high number of people if the product remains on the market, and therefore it needs to be pulled immediately. If you or someone you love has suffered as a result of using this product, you need to seek the help of experienced NaturaLyte lawyers who have been fighting for the rights of those wrongfully harmed for many years. Contact Parilman & Associates today to schedule a free initial consultation.